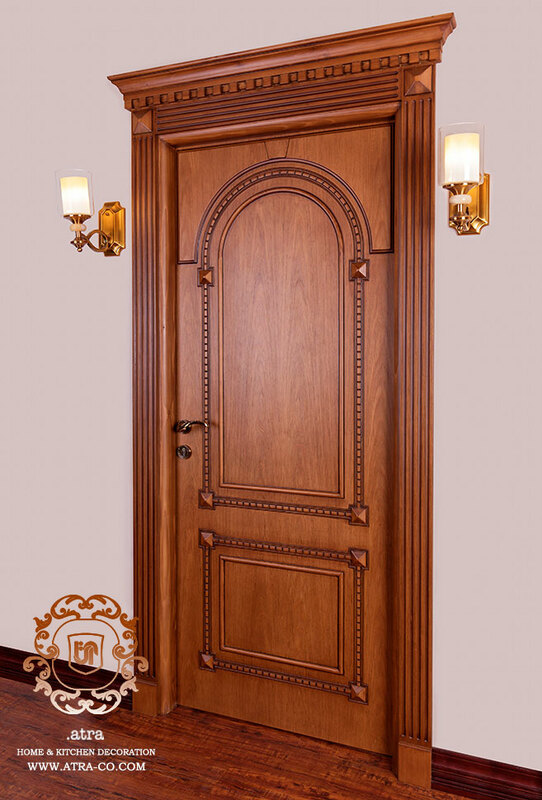 The use of wood in home decoration adds a bit of nature to our cramped, mechanized lives. Touching the wooden body of doors coveys feelings of peace to the family. This model is made of elm wood and veneer, featuring engraved head and fittings.